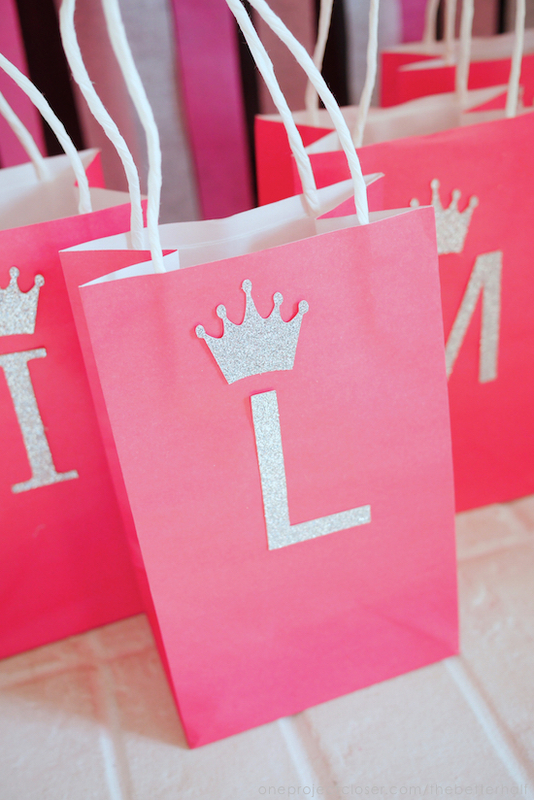 DIY Princess Party Decorations +17 Silhouette Crafts! 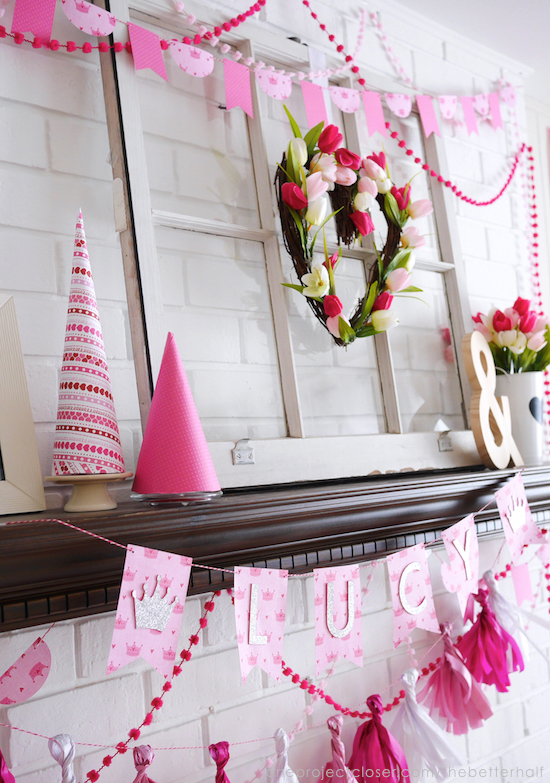 In addition to sharing Lucy’s fabulous DIY Princess Party Decorations, this post is a part of a huge Instagram Hop where we will be giving away a Silhouette Cameo, starting today, Feb 4 @ 2 pm EST!!! So be sure to head over to see me on Instagram to enter. Also, need more Silhouette ideas? Keep reading to the end for lots more awesomeness! I never understood how deeply parents meant it when they say “it seems like just yesterday.” But it really is true. It really does feel like it was just yesterday when my baby was born. Now, Lulu is 5! Like her father, she tends to be more of an introvert, but when she’s around her people, she’s outgoing and the life of the party. In planning her party, she decided she wanted a small group of friends to go to Pump-It-Up (a local bouncy house warehouse) and then back to our house for an “Aurora” Princess Pizza & Cupcake Lunch. Now, Lulu has never actually seen Sleeping Beauty, but she picked out this Aurora dress last summer before we went to the Magic Kingdom, so she was determined to have an Aurora party. Never-mind that you can’t find ANYTHING Aurora in the stores. So our Aurora party turned into everything pink and Princess…but PLEASE don’t say that to her or you will offend her deep love of Aurora. 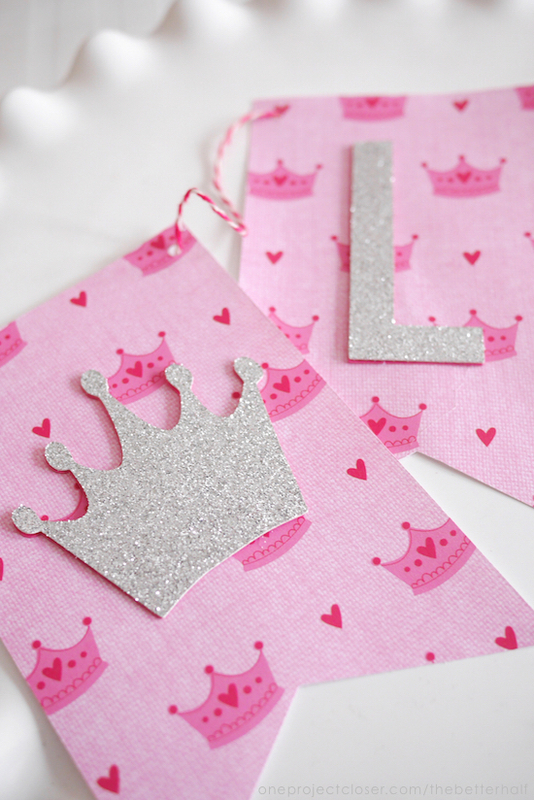 haha Cue the DIY Princess Party Decorations! Lulu and I headed to Michael’s one rainy day and she picked out her favorite craft papers. I got home, pulled out my Silhouette and got to work. I love the Silhouette for stuff like this, because I was able to add sparkle and design without spending a ton of money on store-bought (or custom off of Etsy) decorations. There’s no special trick to using the Silhouette. Most everything I made was using a design from the Silhouette Design Store (online) but some things, I traced in the Silhouette program and made my own design. Overall, I was super happy with it all, but more importantly, so was Lulu! In addition to all the decorations being pink, Lucy also wanted to food to be pink. Now I didn’t go crazy with pink pizza crust, although I did make my pizza using my favorite Pizza Recipe from 100 Days of Real Food. But for cupcakes, I found a good recipe for Whole-Wheat Cupcakes from King Arthur Flour, adding pureed strawberries for color and flavor. Then let the girls decorate them with pink candies, per the birthday girl’s request. The girls all had a fabulous time and rocked their Aurora crowns (that they decorated) and light up wands the remainder of the party! We even turned on Disney music so they could dance! By the way, I forgot to mention…you may have recognized some of the decorations from my Valentine’s Day Mantle and Tissue Paper Garland. 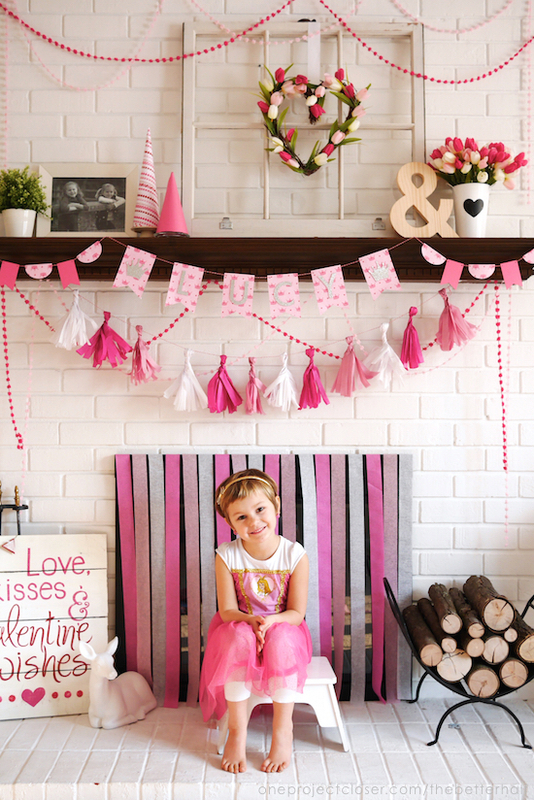 #truth It worked out great that Lucy wanted all pink so I could use the V-day decor, adding a custom banner and bunting using the Silhouette. 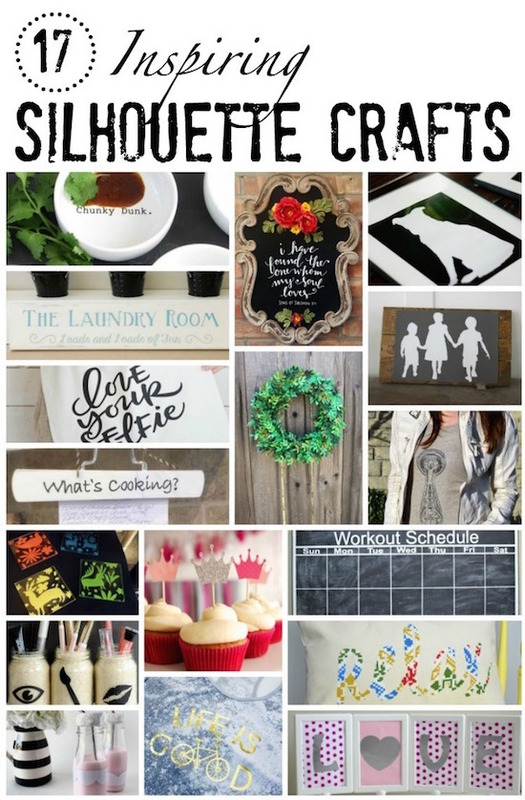 Need more great Silhouette Crafts? 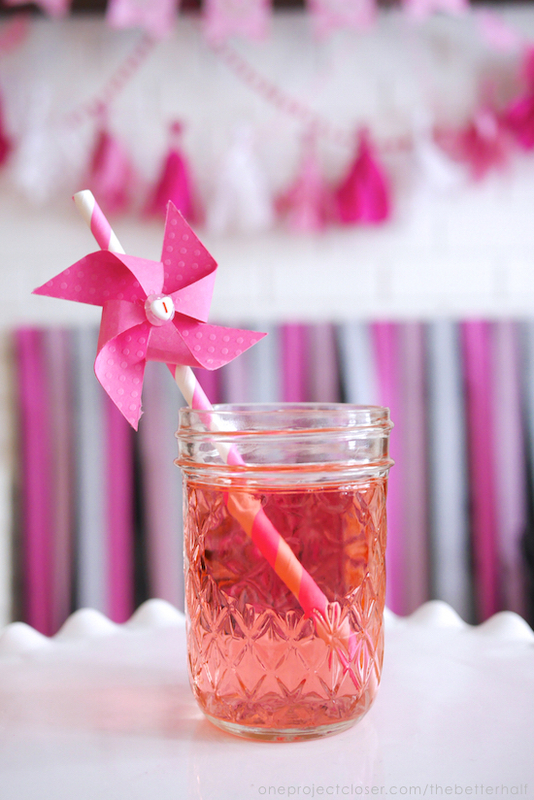 Who doesn’t need more ideas for Silhouette Crafts? And don’t forget to head over to Instagram and enter to WIN A FREE SILHOUETTE CAMEO!!! What do you think? 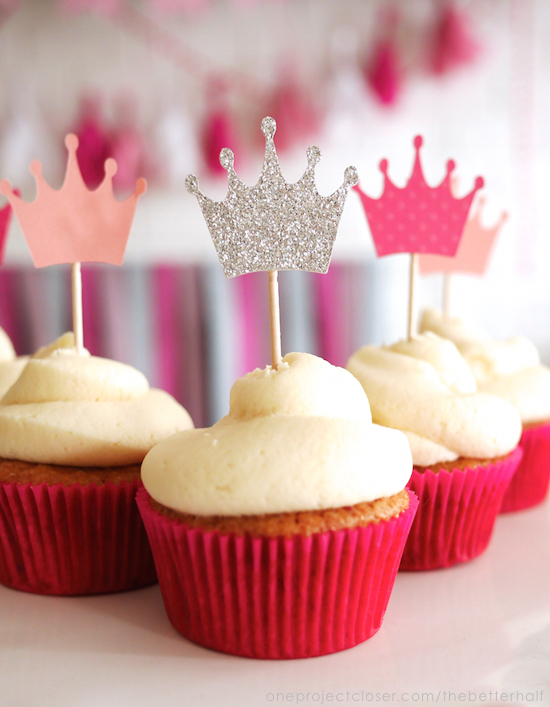 What is your favorite DIY Princess Party Decoration? A girl after my own heart, I love pink. What a cute way to celebrate a birthday party and you really got a lot of use out of the Silhouette. 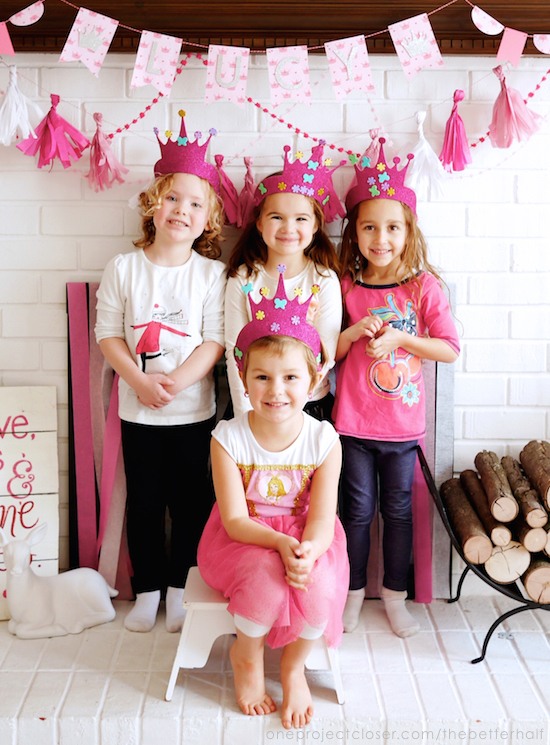 Oh my gosh, I love a princess party, and your little princess is the CUTEST! 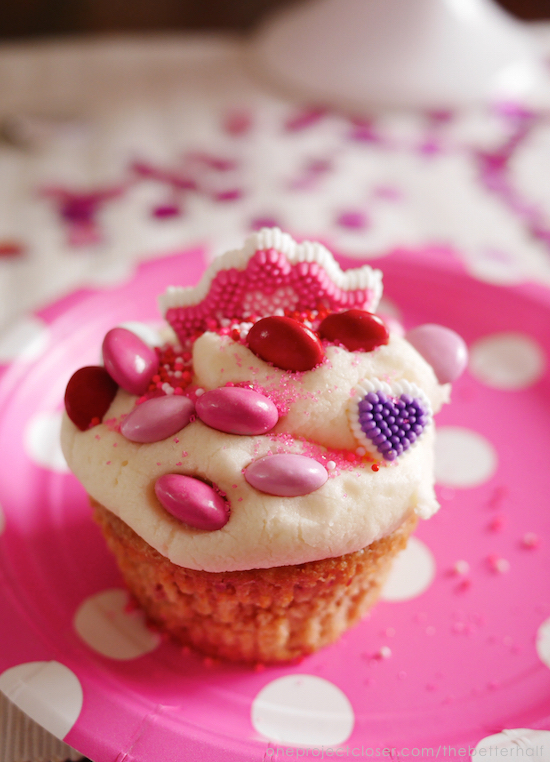 Love all the decorations and those cupcakes look divine! 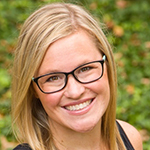 What fun to plan the party with your daughter! All the decorations are gorgeous. Using the Silhouette for parties is one of my favorite things. What a great party with so many great details.